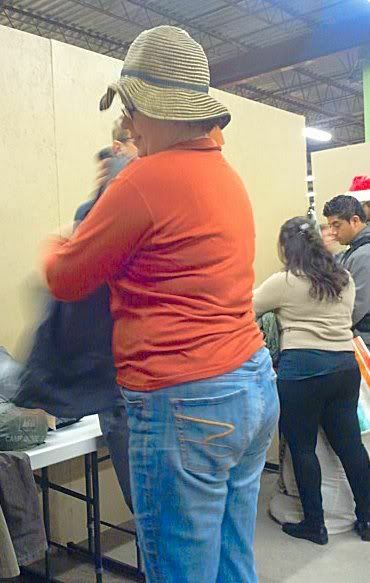 Have you seen the web page PeopleofWalMart.com? After Saturday morning, I believe there ought to be a People of REI web page. As noted in a previous entry, a local REI store was having their annual garage sale and I stopped by in hopes of scoring some inexpensive camping gear for the Alaskapade. 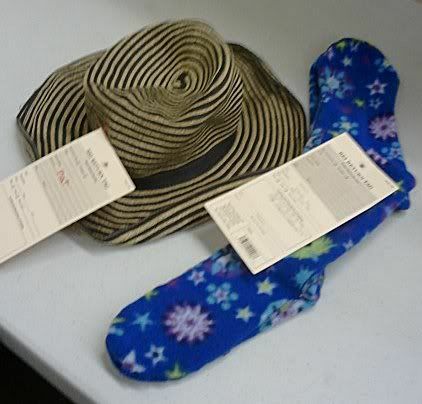 The sale, which consisted of returns and outdated items at fifty to eighty percent off, started at 10:00am. I figured I would beat the rush and get there early in case there was a line. I pulled into the parking lot at 9:00am and realized I was way too late. 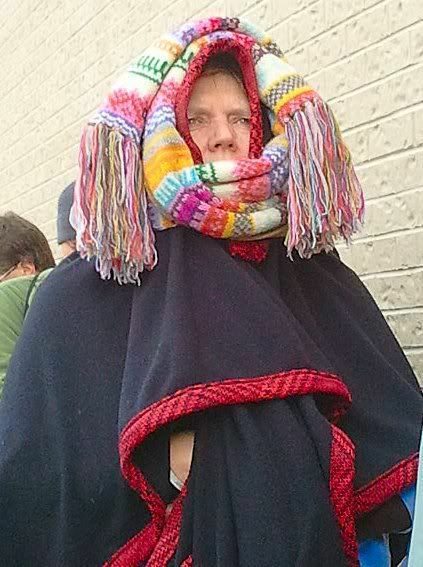 The line ran around three sides of the building and was comprised of some pretty colorful characters. As I hunted for a parking spot, I began to wonder if I was at a garage sale or a Toyota Prius convention. The lot had the usual suspects - tiny cars with anti-everything bumper and window stickers. It was a friendly crowd, and a happy one given the early hour and the temperature. Honestly, with all the dreadlocks, Frisbees, and tie dye, it looked more like a line for Grateful Dead or Phish concert tickets than it did a camping gear sale. This was definitely a Save the Whales, seals, Darfur, Earth, and [insert your cause here] crowd. There were people stretched out on cots, sitting in umbrella chairs, and others standing next to portable heaters - all of whom appeared to have been there all night. 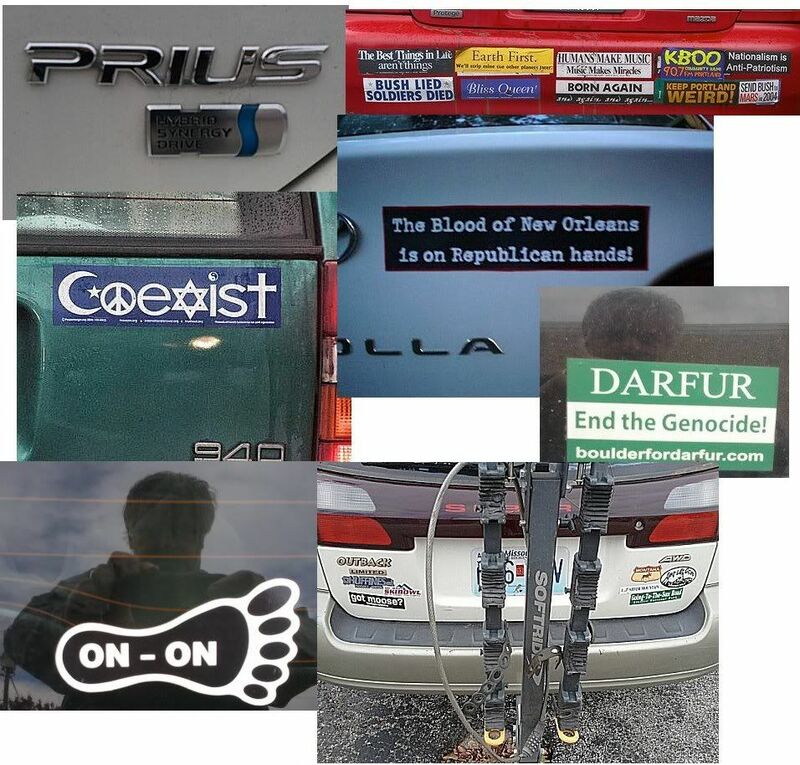 It was like an overnight tailgate party for the eco-Nazi crowd. All night. For cheap camping gear. Insane. 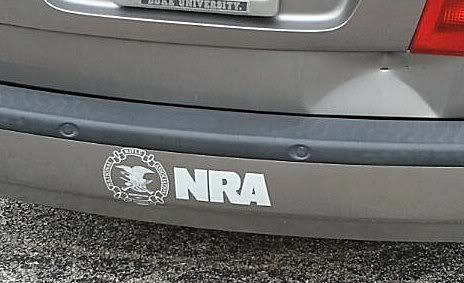 I parked my gas guzzling full-sized Chevy pickup truck in between a couple of Mini Cooper Matchbox cars and wandered around to the back of the building to get in line with all the other losers who slept in. On the way, I managed to snap a few photos of the vehicles. I was quickly joined in line by some pretty interesting characters. 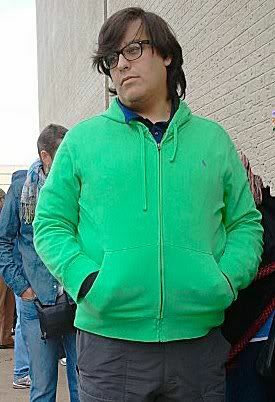 One guy apparently wearing his sister's lime green hoodie and birth control glasses kept talking to himself aloud. This guy probably has never heard of Lady Gaga, but could probably tell you Mr. Spock's mother's name back on the planet Vulcan. The fact that I happen to know Spock's mother was T'pau is irrelevant. At least I've heard of Lady Gaga; so there. Anyway, I thought he was talking to me and I responded, but he just kept staring at my leather jacket, which in this crowd was about as welcome as a Tea Party candidate in a union meeting hall. I looked to see if he was wearing a bluetooth headset or something, but gave up and assumed he was just talking to others of his species from his native dimension. After looking him over briefly, I pondered the necessity of the birth control glasses and then considered the fact that I still had my appendix and tonsils, neither of which would ever serve any real purpose on my body either. "Let me think on it..."
Also near me was a woman (I think) with her head wrapped in some sort of multicolored native American ceremonial garb. Upon closer examination of the photo, I think it was actually Meat Loaf attempting to be incognito. Hey! I like this hat!! Once the line started moving, we were all corralled upstairs into the REI attic where the sale items were tagged and laid out on tables. At this point, the compassionate saviors-of-all-things-liberal transformed themselves into the stampeding mob from that Cincinnati Who concert back in 1979. People were frantically swooping up handfuls of stuff - anything - as much as they could carry - and then dragging it to a corner to inspect it and see what they got. Some of the items were unidentifiable crap and yet people still scooped them up. I figured out that some of the shoppers were working in concert ,with one person guarding and evaluating their stash while others from their pack foraged for more. When one woman placed a sleeping bag back on the table, two other people grabbed it simultaneously. One looked at the other and said "Rock, paper, scissors?" I rolled my eyes and wandered away. We all know that in the real world, a rock would always win. I managed to score a nice tent that was returned because the zipper was reported to be malformed. I proudly carried the tent around a while - much like a dog does with a toy, challenging anyone to take it from me. With a death grip on my kill, I looked at the remaining piles of crap, which by this point were scattered from Hell to breakfast throughout the REI attic. Several people asked me "are you going to buy that?" and then "what is it?" They didn't seem to care what it was as long as it was a good sale price. In my case, it was. I examined the zipper and with a little effort, tugged it past the bent teeth, straightening them out in the process and rendering it completely serviceable. It was a $155 tent for $49. I Googled the make and model and found many excellent reviews, some of which were from motorcycle campers. 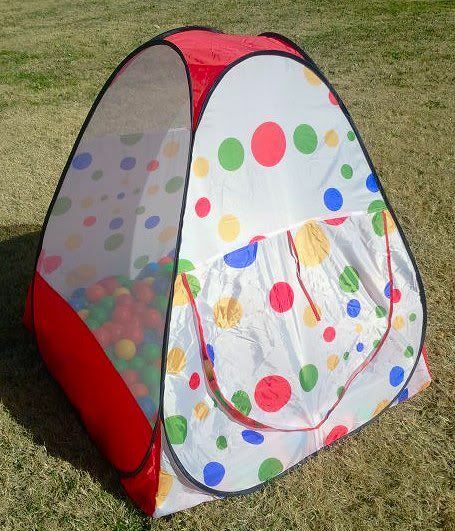 I made my way out of the land of misfit toys and back downstairs to pay for the tent. Along the way, I observed people changing into pants, trying on socks, erecting tents, and blowing into inflatable mattresses that were clearly labeled as unable to hold air. Now it was time to stand in line with the others and gloat over what we scored upstairs. One guy offered to trade the Yakima bike rack he was carrying (that was missing all the nuts and bolts and one mounting leg) for my tent. Turns out, he was offering the trade to everyone in line for whatever they had. Tempting as his offer was, I opted to keep my bounty, paid for it and made my way out to my truck. Finding my truck was easy as it towered above the eco-friendly ultra compact cars in the parking lot. I headed home and set up my tent to admire the fruit of my morning's efforts. I'm still on the hunt for a good, tightly-compacting sleeping bag and an air mattress. 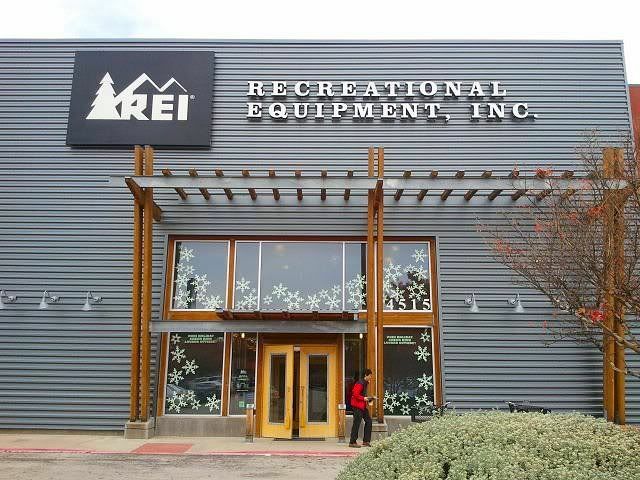 There are other REI stores in the Dallas area with garage sales scheduled before year end. I think I'll just sleep in and check Amazon and Ebay.